Within Teamwork Projects, you can set start and end dates for your projects. When you are first creating a project, you can choose a start and due date for the project in the Dates tab of the new project modal. 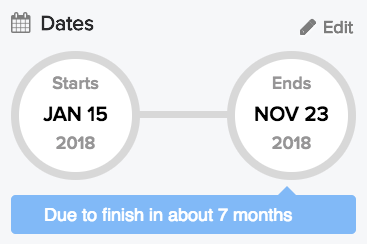 For existing projects, in your project's Overview tab, click the options (three dots) button, and select Set Start & End Dates from the dropdown menu. 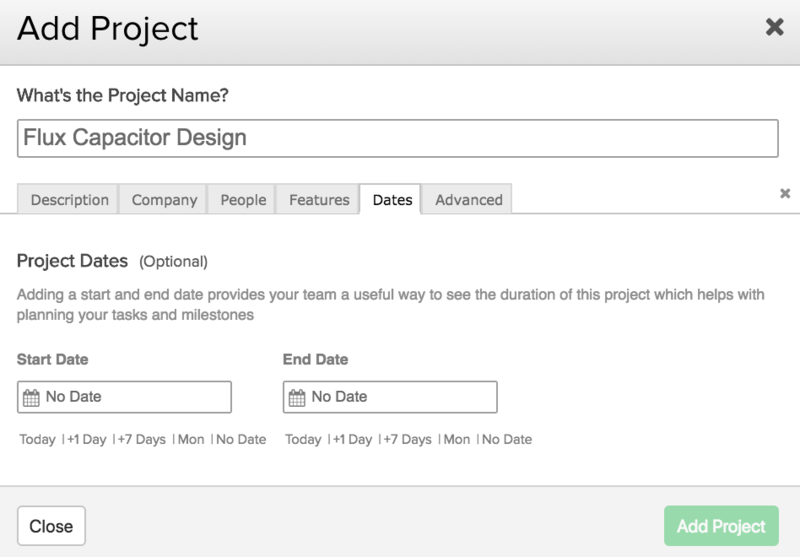 In the set dates modal, you can choose a specific start and end date for the project. 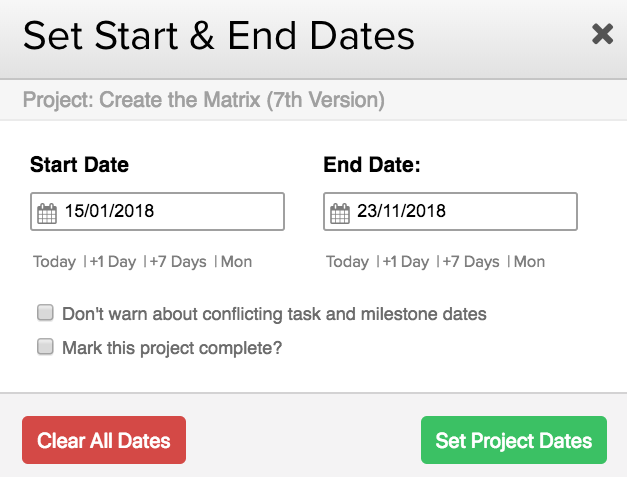 If there are tasks already in your project, the dates will be set taking those into account and you can edit them if you prefer to choose specific dates. You can choose to ignore conflicting task and milestone dates, and also mark the project as complete. Once you have added project dates, you will see them listed in the project details sidebar on the left hand side of the Overview section. You can also edit the dates directly from here. 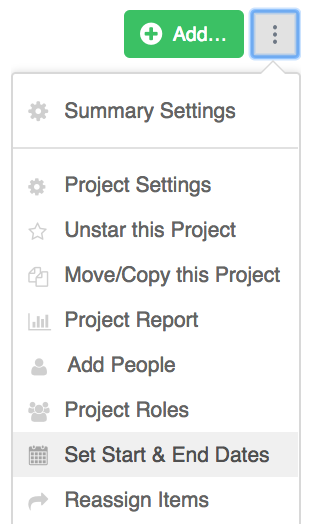 If you don't yet have project dates set, you will instead see an option to set them in the left sidebar.